This freestanding rack is the perfect storage solution for your paddleboards The upright design keeps this rack very compact which is great because it take up less of your precious floor space in your garage, dock, or deck. 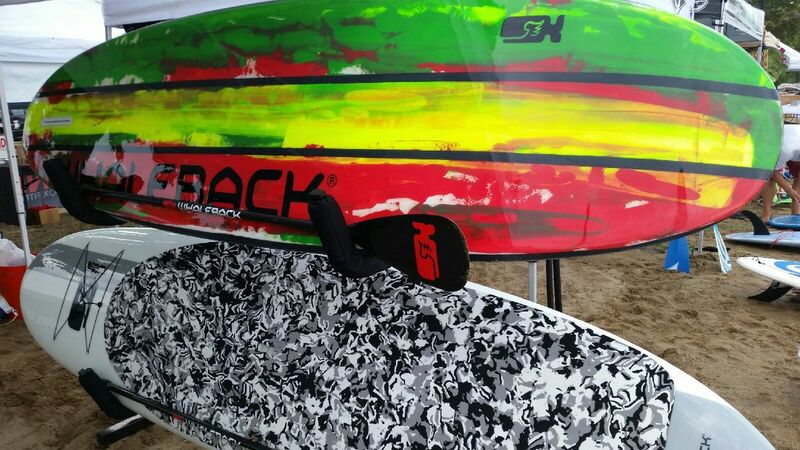 Another great feature is that with the unique arm shape, this rack will hold both standup paddle boards and kayaks. The arms are also big enough to hold your paddle as well. 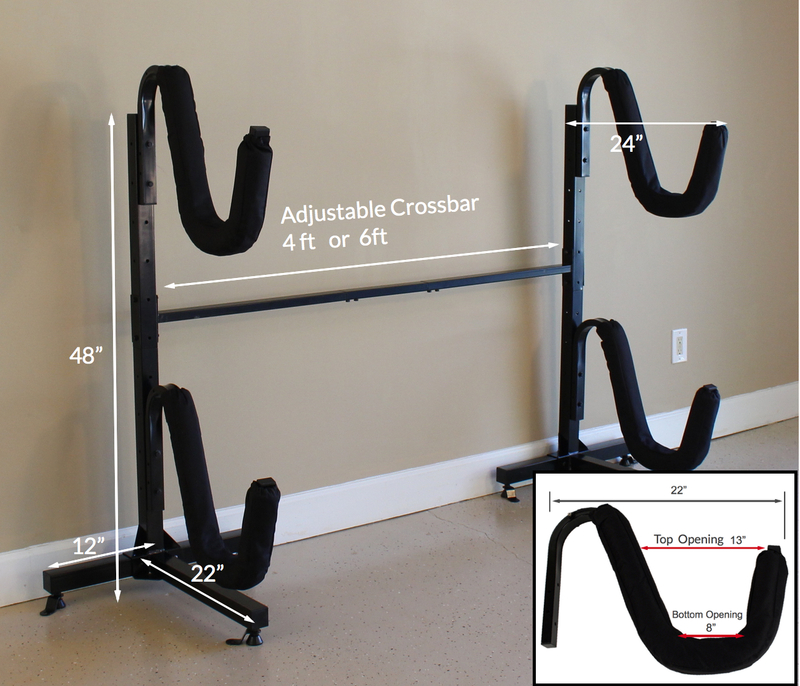 Premium, heavy-duty quality The rack is made from steel and then powder coated to withstand elements if you decide to use it outdoors (we would not recommend this rack being used in near saltwater for long periods of time). Being made from steel this rack can support up to 175lbs which should be enough for even the largest SUPs on the market. The tripod base is very steady and it comes with adjustable feet to level it out on any surface. The feet also have a place for an anchor to make it even more secure of you are mounting it on your dock or deck. 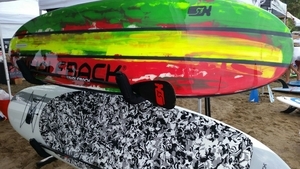 Padded arms cradle your boards The arms are also made from steel and come with a thick padded sleeve to protect your SUP and its rails. The padded sleeve has an exterior nylon covering that is UV protected to stand up to the outdoors for many years. Adjustable Crossbar Another nice feature this rack has is a crossbar that connects the two freestanding towers. This adds extra stability to the rack system. Optional caster wheels for mobility Opt for the optional caster wheels (set of 6) to easily move your rack around for organization or faster loading onto your car rack. What is the weight of rack? Our freestanding rack for two kayaks and/or SUPs weighs 50 lbs. Can you store a single board on the top rack without it tipping over? Yes, you can have one board on the top tier of this freestanding SUP rack, without worrying it will tip over. Rack is very good... but arrived with bolts to extend rack length missing. This rack is perfect for trade shows and our showroom! I am so happy I got this rack. I set it up on the side of my garage and it is perfect to just slide my paddleboards in. It is very strong so no worry about it not being able to hold my boards.